Practicing martial arts by itself includes a healthy lifestyle, greater confidence, self-discipline, and full-body workouts. Practicing karate is no different. 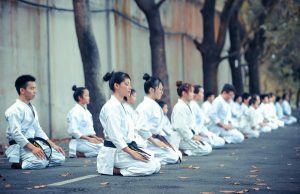 This beautiful Japanese martial art will improve your focus and stillness and allow you to shape your body. Dubai PT is here to help you find the best personal trainers karate Dubai. 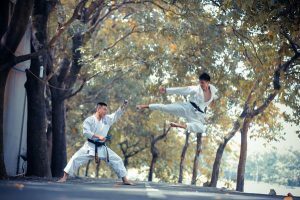 Training martial arts has many health benefits. Finding a professional personal trainer of karate Dubai can get you in a great shape and help you master one of the greatest martial arts in the World. 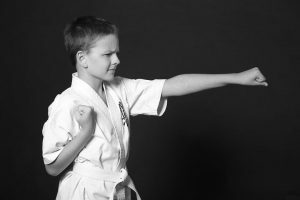 Therefore, whether you plan on training for a competition or just improving your usual workout routine, karate can help you boost your confidence and tone your body. Karate, just like many, other martial arts requires a great level of attention to details, patience, and self-confidence. Even though it takes some time mastering your karate skills and gaining the practice to perform the art of striking, with the help of a professional trainer of karate Dubai, you will be able to enjoy this great sport. Karate is a safe martial-art. Martial arts increase your mobility and flexibility. You will improve your stability and coordination by hiring a trainer of karate Dubai. Practicing karate will allow you to decrease the everyday level of stress. Karate can help you improve your concentration, focus, and awareness. Your self-defense skills will greatly improve by practicing karate. In order to become a karateka, a practitioner of karate, you will need a great level of self-control and patience. All these skills are being developed and improved through a regular routine with your professional trainer of karate Dubai. Even though once a fighting system, karate is nowadays one of the safest martial arts. Therefore it is a great physical activity for both children and adults. By performing drills karate will teach you how to improve your balance. And just like with many other martial arts, practicing karate will improve your mobility and flexibility. Self-defense skills you get to learn through karate don’t resemble much to the other martial arts. First and foremost, karate classes Dubai will teach you how to improve the awareness of your surroundings. Therefore you will be able to recognize and avoid any potential dangerous situation as well as defend yourself if needed. With the right trainer of karate Dubai, you will be able to shape your body as well. Whether it through the combination of some other training routine like yoga classes in Dubai or fitness, karate can be a great way to mix up your usual training routine. Karate teaches humility, self-control, and focus. Therefore it is a great way to unwind after a busy day and relieve the stress.